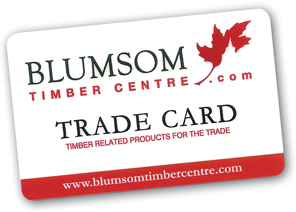 Blumsom Timber Centre is open to both the Trade and Public, you do not need an account to trade with us however we offer two types of accounts Cash and Credit. Please see below the two different accounts we offer and benefits….. If you don’t already have an account, why not join today?